The doctor assigns you warfarin. And warns of the need to control some of INR, which involves frequent visits to the clinic, blood pass, then to the doctor. In my head there are thoughts like "here, another tablet", "so much trouble", "and whether or not to take it, I'll manage somehow ..."
So what kind of drug - warfarin? Warfarin belongs to a group of anticoagulants - drug reduces clotting (coagulation) of blood. Blood clotting - a complex multistageprocess, normally aimed at stopping blood loss in trauma by plugging the damaged blood vessels clot - thrombus. However, in some situations and diseases of the blood clots formed without causing traumatic injury and poor circulation (or a complete cessation of flow, if the container is large, trunk) in an organ or part thereof. 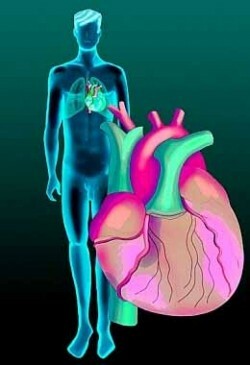 If a similar situation occurs in the brain's blood vessels - it is a stroke, in the heart - a heart attack. Often thrombi formed in arteries with no large flow rate, and in the veins (such as when of varicose veins, Thrombophlebitis) where the blood flow rate is less then "rip" and transferred to the above, in the vital organs. In this case, doctors say thromboembolism. As you know, the best treatment - is prevention. Warfarin is assigned just for the prevention of life-threatening thrombosis and thromboembolism: heart attacks, strokes, Pulmonary embolism (PE), etc. 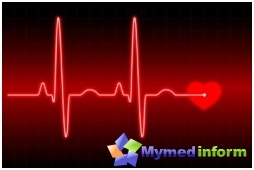 Atrial fibrillation (AF). In this heart rhythm disturbance (namely, the left atrium) not reduced as efficiently as in normal, sinus rhythm, and in some of its areas, mostly in the so-called left atrial appendage, blood stasis is formed and then clots. Coming off these blood clots enter the bloodstream directly to the brain. Strokes occur in 20% (and this is one out of five!) Of patients with AF who were not taking anticoagulants. After implantation of artificial heart valves. Although the material of artificial valves is chosen the most neutral, after all this is foreign to the body object, and it can form clots. Looking up, they also get into the brain. After stent placement the coronary artery by coronary heart disease. Antiphospholipid syndrome. In this autoimmune disease specific antibodies in the body are formed, contributing among other things to increased venous thrombosis and rarely arteries. varicose veins lower limb thrombophlebitis, particularly the deep veins. In this situation, warfarin is assigned temporarily toexacerbation of time. Blood clots in the veins of the lower limbs fall in pulmonary artery - pulmonary embolism develops. If the cluster is large, it occludes the artery is large, it leads to switching off a considerable part of the light and shock. Receiving Warfarin prevents formation of blood clots in people with a high degree of risk. For the formation of a blood clot requires specificproteins - clotting factors. Some of these proteins produced in the liver using vitamin K. Warfarin blocks the action of vitamin K and thereby slow coagulation process and prevents the formation of thrombi. In one warfarin tablet - 2.5 mg. There is quite a difficult time dose selection. It is individual for each person. No two people are alike and there is no "average" dose of warfarin. 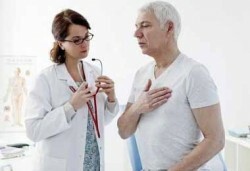 Selection can be carried out as a doctor in a hospital or outpatient, and this process requires active treatment and understanding of the purpose of participation on the part of the patient. 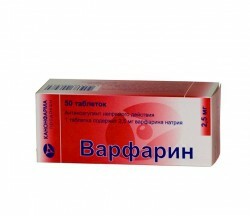 A goal warfarin - prolong your life in good quality. Usually beginning with 2 tablets (5 mg). This drug should be taken at the same time of day (preferably in the evening), and not to skip. How to monitor the effectiveness of treatment? Unfortunately, there is not possible to rely on yoursensations, laboratory monitoring is required. This means that you need to take a blood test for clotting. Doctors are now using an indicator such as the INR (international normalized ratio). Despite its name, is nothing "wrong" is not - it's clotting time corrected for the sensitivity of the reagent. When receiving warfarin there are so-called"Therapeutic range" - INR of 2 to 3 or 3.5 units. in some cases. This corridor must be followed: thus ensuring the maximum effectiveness of the drug, and minimal risk of side effects. What is the value you'd better stick to - the doctor decides. By reducing the INR below 2 - no complications andno good, clots will form, ie, warfarin is meaningless. If above 3.5 - blood clots will not, but inhibited clotting too much and there is a risk of complications. In the first place - is a risk of bleeding. Severe, life-threatening bleeding occur rarely, usually when the patient has no control over INR regularly or accidentally takes too much amount of the drug, or he has hereditary changes enzymes (weakness), destroying warfarin. We must be attentive to himself and should consult a doctor if you feel significant changes in health. dizziness, blurred vision, weakness in the limbs, heart palpitations. When these symptoms be sure to consult a doctor! Remember: you have to keep the INR within the 'corridor', the deviations in the one and the other side can be dangerous! with chronic diseases of the liver and kidneys. How often it is necessary to monitor the INR? In the beginning, the selection of doses you will oftendonate blood: every 2-3 days, as the effect of Warfarin develops within two or three days, reaching a maximum of about 5 days. If within 2-3 measurements INR remains within your target value, the dose can be considered as selected. In the future you will give blood once every 2 weeks, then once a month. Unfortunately, so frequent visits to the clinic - an urgent need. There are portable devices forINR self-determination in the home, like glucometers, - "Koagulochek". Of course, it is much more convenient, but these devices are quite expensive, in the range of 10-15 thousand rubles. Accuracy them high. INR - figure, prone to fluctuations, evenif you take the designated number of pills regularly and on time. Its level is affected by many factors: diet, alcohol intake, condition of the liver and kidney function, treatment with other drugs. Diet. Here, the important flowvitamin K diet. Vitamin K is found in large amounts in plant foods: all kinds of cabbage, green tea, spinach, dill, vegetable oil, beans, etc. Increasing the proportion of these foods in the diet may attenuate the effects of warfarin and require dose adjustment..
Alcohol. Significant cross-sectional alcohol intake increases the effects of warfarin. Diseases of the liver and kidneys. 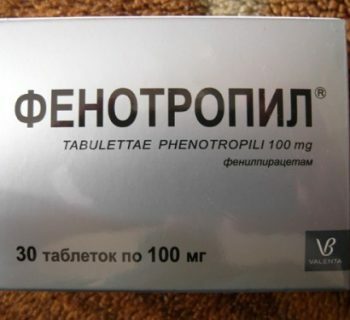 Chronic diseases with dysfunctionliver, kidney, with the failure of the authorities (increased transaminases 3 times or more, creatinine greater than 200 mmol / l), affect the destruction and elimination of warfarin. He can stay in the body longer than normal and may require dose reduction. Interaction with other drugs. There are many drugs that affect the pharmacokinetics of warfarin. proton pump blockers (omeprazole, pantoprazole and so on.). Dietary supplements and herbal medicines also affect the action of warfarin in one direction or another. Be sure to consult with your doctor if there is a need to accept the above-mentioned or other drugs! In conclusion, we can say that warfarin -a drug that requires a careful and responsible attitude, and control of INR can be a bit troublesome. But warfarin - is the gold standard (and economically affordable!) The treatment of thromboembolic diseases in our country, and abroad, he saved many lives. In the appointment of warfarin number of heart attacks, strokes, pulmonary embolism is reduced by 63-75%. And it is worth a little "tinker" with him.